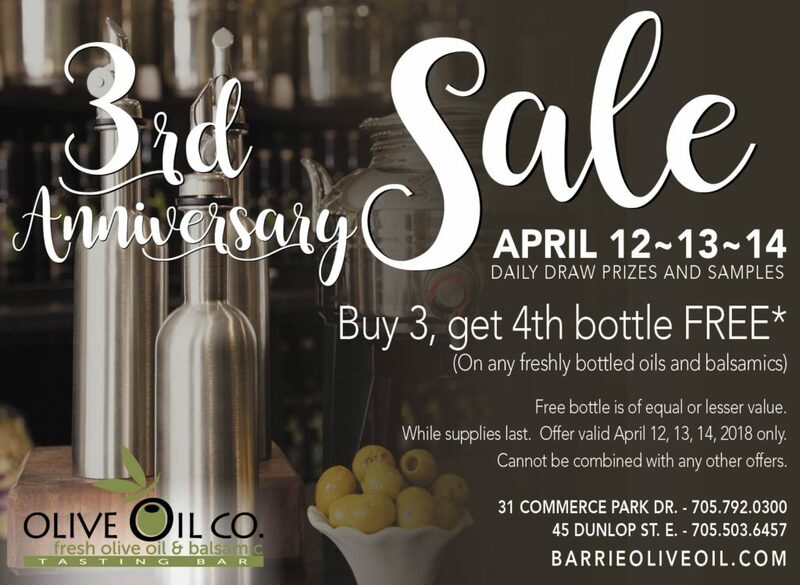 Barrie Olive Oil is celebrating 3 years in business. 3 DAYS of Celebration with Sampling, GREAT SALES (and we NEVER have sales), and prize draws in-store every day. Sampling partners include: Stonewall Kitchen, Lotus Natural Living, Chelsea Chocolates, Bulbs of Fire, Terry’s Hot Sauce, Momma Mari’s, N+ Jams and Jellies, Innisfil Creek Honey.